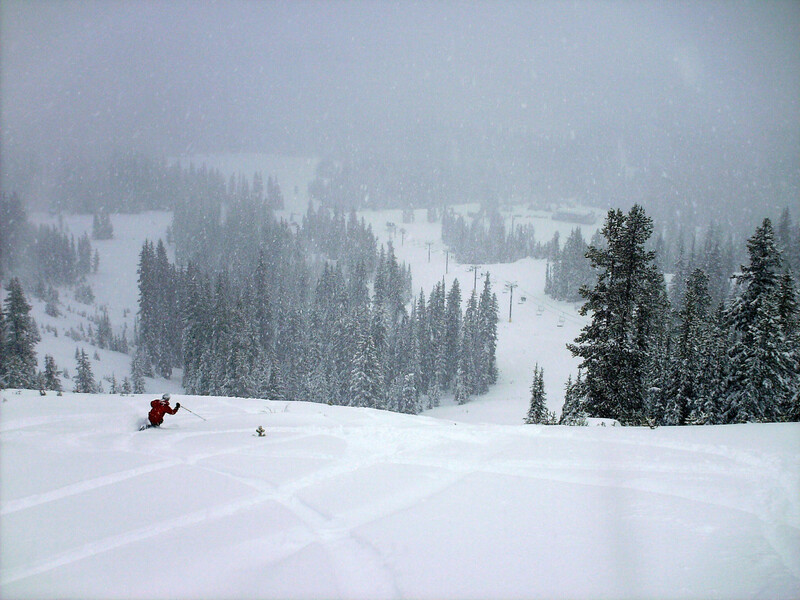 Anthony Lakes Mountain Resort, located in Eastern Oregon, offers 1100 acres of skiing and snowboarding as well as an abundance of Nordic Terrain. The ski area boasts an 8,000 summit with 900 vertical feet of skiable terrain accessed by a triple chair, T-Bar and wonder carpet. Their 21 runs are suited for all abilities, with 20% Beginner, 38% Intermediate and 42% Expert. In 2012-2013 the resort is running their “Own The Mountain” campaign, where groups of guests can rent the entire mountain for the day. Anthony Lakes also has some of the best cat skiing in the area, thanks to the highest base elevation in Oregon (7,100’). Their ski and snowboard school is top notch and the resort offers lodging in nearby Baker City, OR. Cafe, bar, retail shop, full-service rental shop, Nordic Center, PSIA & AASI certified instructors, cat skiing, snowmobile access, and trailer parking.